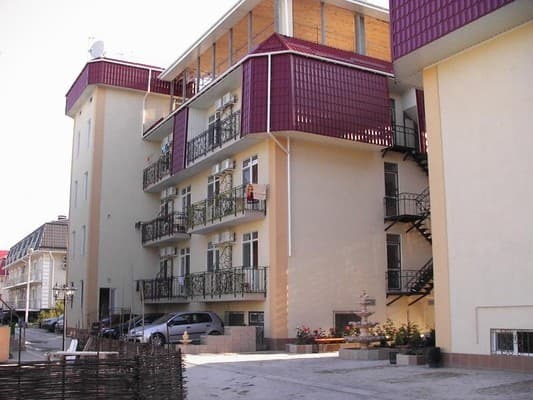 Hotel "Service" is located in the elite district of town. 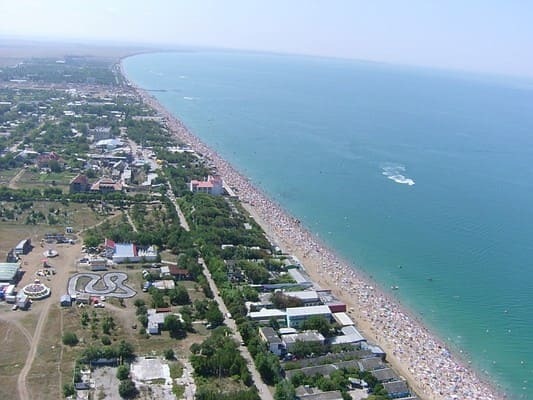 Nikolaevka, on the western coast of the Crimea, 180 meters from the sea. This is a private hotel of European level, which meets all the requirements of a sophisticated modern traveler. The hotel combines an ideal price-quality ratio. 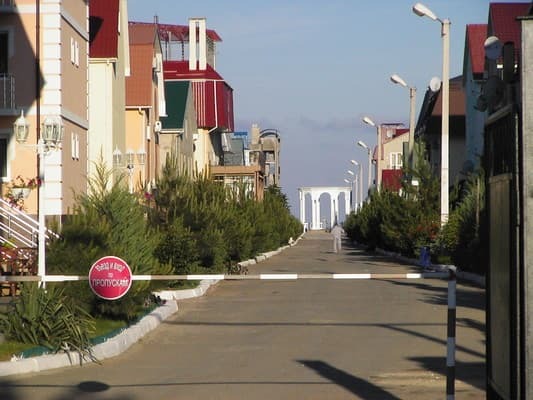 The territory of the hotel "Service" is closed and guarded; The place is suitable for a quiet, secluded family and children's holiday, far from the bustle of a big city. 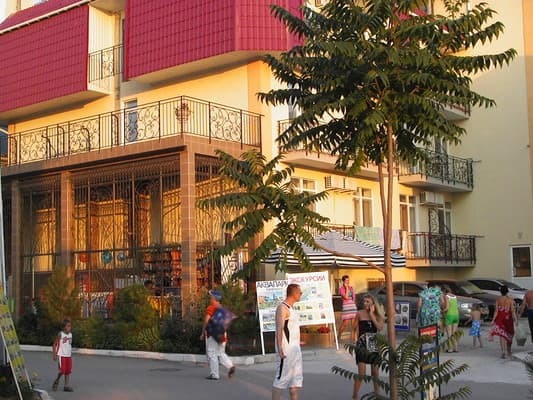 On the territory of the hotel there are: a children's playground, a hall of amusement rides, a volleyball court, restaurants, a cafe, places for recreation, an excursion point, a medical office, a hairdresser, a currency exchange office; on the beach, water attractions, beach loungers. The services of the guests are shared kitchen, children's playroom, 24-hour security of the complex, individual safe, parking (subject to availability), swimming pool for children and adults, sports equipment, dining room, BBQ and BBQ, internet, billiards, fishing. Near the recreation base "Service" is a market, a grocery store, a pharmacy, a nightclub. Description of the room: Cozy rooms with an area of ​​16 square meters with a double or two single beds. 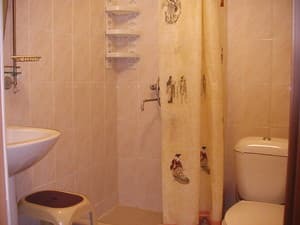 The room has all the amenities: a toilet, a bathroom with a shower, bed linen, a set of 2 towels per person, satellite TV, air conditioning, refrigerator, individual safe. Each room has a balcony with a built-in table. At the request of the guests, a hairdryer, an iron and an electric kettle are provided. Description of the room: The rooms are simple and stylish, decorated in warm colors. The area is 21 sq.m. Artfully selected details of the interior create a cozy atmosphere, which has a rest. All rooms are filled with bright sunlight and fresh sea. The room has all the amenities: a toilet, a bathroom with a shower, bed linen, a set of 2 towels per person, satellite TV, air conditioning, refrigerator, individual safe. Each room has a balcony with a built-in table. At the request of the guests, a hairdryer, an iron and an electric kettle are provided. Check arrival: from 15:00 - 16:00 hours. Check leaving: to 13:00 - 14:00 hours. A child's bed is available for children under 2 years. An additional fee is not charged. Children under the age of 6 years without an extra seat are free. Extra bed (Euro-clamshell size 90x200 cm) is paid at the rate of 30% of the room rate per day. Extra beds can be installed only in triple rooms. Extra beds and baby beds are only available upon prior request, which must be confirmed by the hotel. 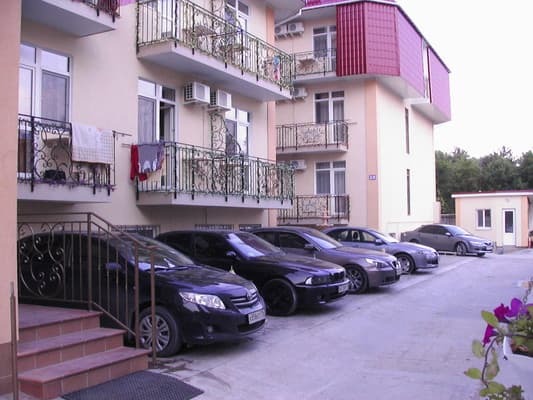 Hotel "Service" is located in the elite district of town. Nikolaevka, on the western coast of the Crimea, 180 meters from the sea. Distance to the market and grocery store - 70 m, pharmacy - 100 m, nightclub - 200 m. Distance to Simferopol - 35 km. From the railway station of Simferopol by shuttle bus to the bus station. Nikolaevka (the journey time is 60 minutes). The hotel staff will meet guests at the bus station.